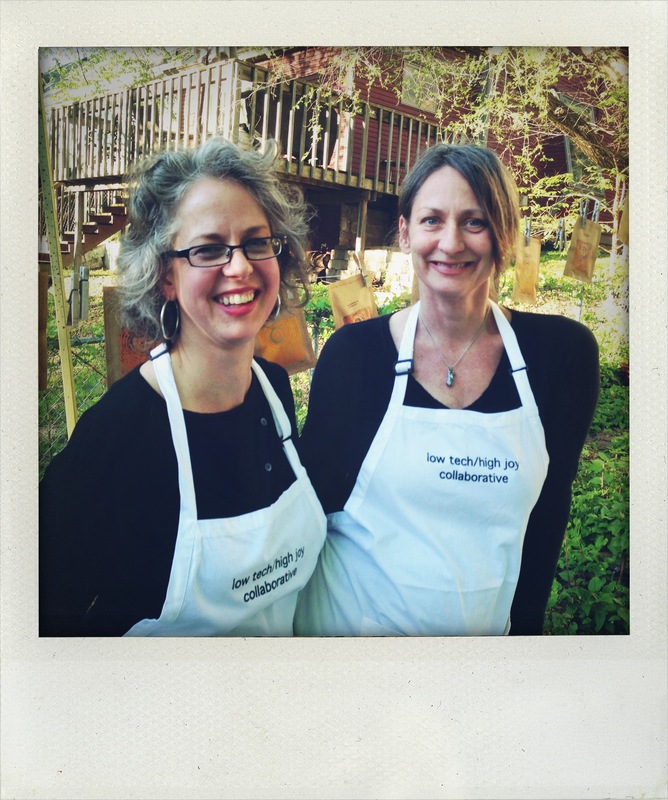 We are Karen Kasel and Marlaine Cox and we work together as low tech/high joy collaborative, a two woman creative team with a passion for socially engaged artistic projects. We have been working together on a variety of projects for nearly a decade. Ranging from building and programming an art shanty on a frozen lake to baking pies in exchange for conversations, we’ve been combining our talents and ideas with joyful results. We intentionally alter, interact and connect with places and people, encouraging active participation within communities. We focus on simple interactions that usually revolve around ritualized domestic activities. Deliberately using humble, everyday materials we investigate the joy found in typically mundane tasks. Creative processes and mediums include: sewing, welding, drawing, construction, package design, screen printing, canning, planting, subversive gardening, book and map making, dioramas and baking. Although some of the projects we collaborate on create beautiful works of art in their own right, the art we make is not necessarily one that creates a product. Rather, the art we create is in the engagement, ownership, experience, conversations and the social interactions that arise from working with a specific community on a unified task. Our art is in the opening up of the creative process to invite others to become co-owners of our projects.